As a premier NY Ford Dealership, Healey Brothers Ford wants to give you the best selection combined with our unforgettable customer service. We are proud to offer the latest current offers from Ford. Browse our Vehicle Specials below. Contact us for more details. 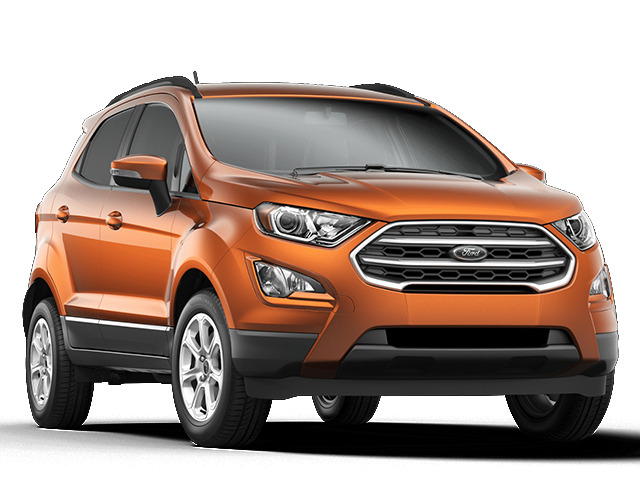 Lease starting at $151 for 36 months for a 2018 Ford EcoSport SE FWD with an MSRP of $23,995. $3,791 due at signing includes $2,995 down, $0 security deposit, $645 acquisition fee and first month's payment of $151, excludes retailer fees, additional options, taxes, title and registration fees. Total monthly payments equal $5,436. Total payments equal $9,076. Actual rates and payments of closed-end lease may vary. Not everyone will qualify. You must take new retail delivery from dealer stock by 4/30/2019. Lessee responsible for insurance, maintenance, excess wear and excess mileage over 36,000 miles at $0.25 /mile. All amounts shown are estimates, retailer sets actual amounts. Includes all applicable offers. Residency restrictions apply. Lessee has option to purchase vehicle at lease end at price negotiated with retailer and approved lender at signing. Termination fee may apply. Contact dealer for availability and for complete details. 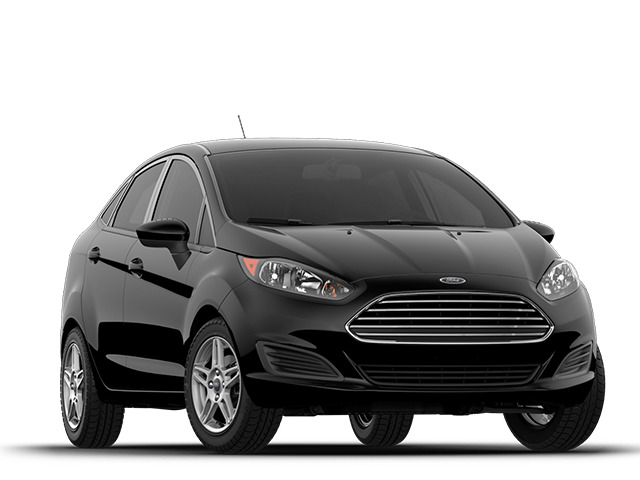 Lease starting at $152 for 36 months for a 2019 Ford Fiesta SE Sedan with an MSRP of $17,460. $3,792 due at signing includes $2,995 down, $0 security deposit, $645 acquisition fee and first month's payment of $152, excludes retailer fees, additional options, taxes, title and registration fees. Total monthly payments equal $5,472. Total payments equal $9,112. Actual rates and payments of closed-end lease may vary. Not everyone will qualify. You must take new retail delivery from dealer stock by 4/30/2019. Lessee responsible for insurance, maintenance, excess wear and excess mileage over 31,500 miles at $0.25 /mile. All amounts shown are estimates, retailer sets actual amounts. Includes all applicable offers. Residency restrictions apply. Lessee has option to purchase vehicle at lease end at price negotiated with retailer and approved lender at signing. Termination fee may apply. Contact dealer for availability and for complete details. 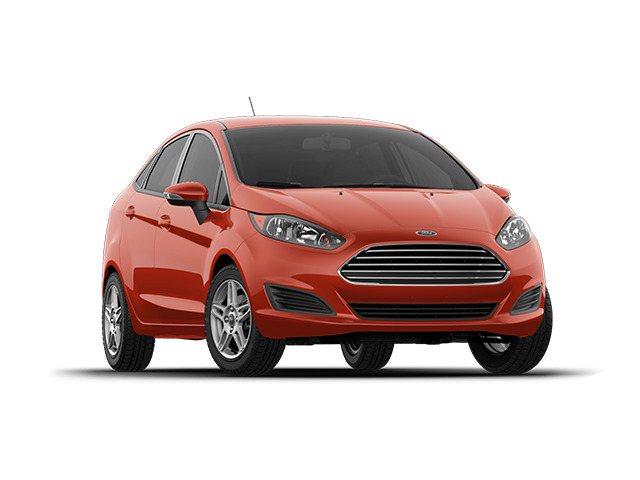 Lease starting at $157 for 36 months for a 2018 Ford Fiesta SE Sedan with an MSRP of $17,405. $3,797 due at signing includes $2,995 down, $0 security deposit, $645 acquisition fee and first month's payment of $157, excludes retailer fees, additional options, taxes, title and registration fees. Total monthly payments equal $5,652. Total payments equal $9,292. Actual rates and payments of closed-end lease may vary. Not everyone will qualify. You must take new retail delivery from dealer stock by 4/30/2019. Lessee responsible for insurance, maintenance, excess wear and excess mileage over 36,000 miles at $0.25 /mile. All amounts shown are estimates, retailer sets actual amounts. Includes all applicable offers. Residency restrictions apply. Lessee has option to purchase vehicle at lease end at price negotiated with retailer and approved lender at signing. Termination fee may apply. Contact dealer for availability and for complete details. 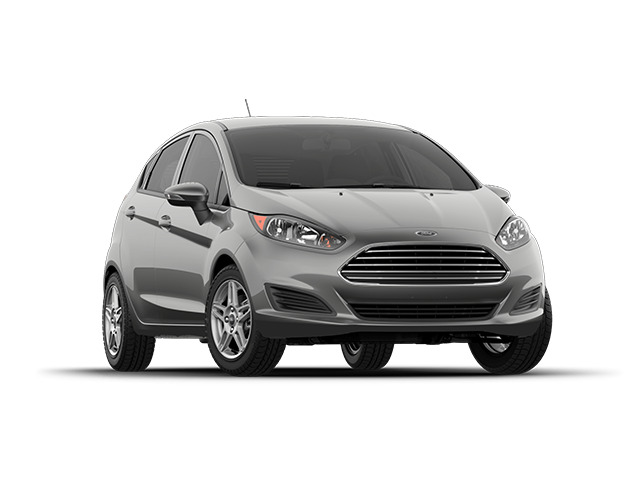 Lease starting at $158 for 36 months for a 2018 Ford Fiesta SE Hatch with an MSRP of $17,705. $3,798 due at signing includes $2,995 down, $0 security deposit, $645 acquisition fee and first month's payment of $158, excludes retailer fees, additional options, taxes, title and registration fees. Total monthly payments equal $5,688. Total payments equal $9,328. Actual rates and payments of closed-end lease may vary. Not everyone will qualify. You must take new retail delivery from dealer stock by 4/30/2019. Lessee responsible for insurance, maintenance, excess wear and excess mileage over 36,000 miles at $0.25 /mile. All amounts shown are estimates, retailer sets actual amounts. Includes all applicable offers. Residency restrictions apply. Lessee has option to purchase vehicle at lease end at price negotiated with retailer and approved lender at signing. Termination fee may apply. Contact dealer for availability and for complete details. 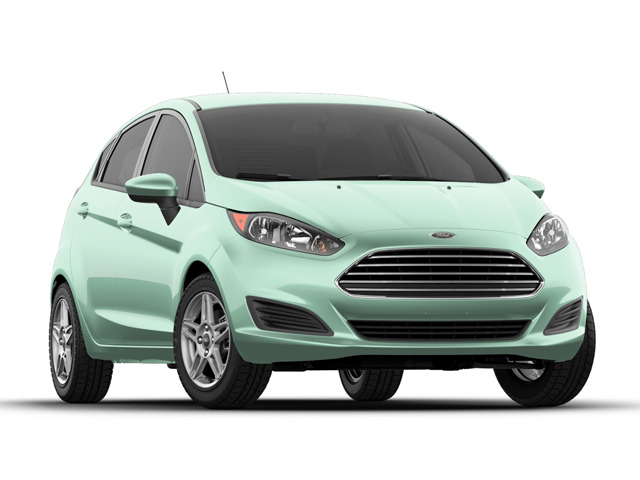 Lease starting at $166 for 36 months for a 2019 Ford Fiesta SE Hatch with an MSRP of $17,760. $3,806 due at signing includes $2,995 down, $0 security deposit, $645 acquisition fee and first month's payment of $166, excludes retailer fees, additional options, taxes, title and registration fees. Total monthly payments equal $5,976. Total payments equal $9,616. Actual rates and payments of closed-end lease may vary. Not everyone will qualify. You must take new retail delivery from dealer stock by 4/30/2019. Lessee responsible for insurance, maintenance, excess wear and excess mileage over 36,000 miles at $0.25 /mile. All amounts shown are estimates, retailer sets actual amounts. Includes all applicable offers. Residency restrictions apply. Lessee has option to purchase vehicle at lease end at price negotiated with retailer and approved lender at signing. Termination fee may apply. Contact dealer for availability and for complete details. 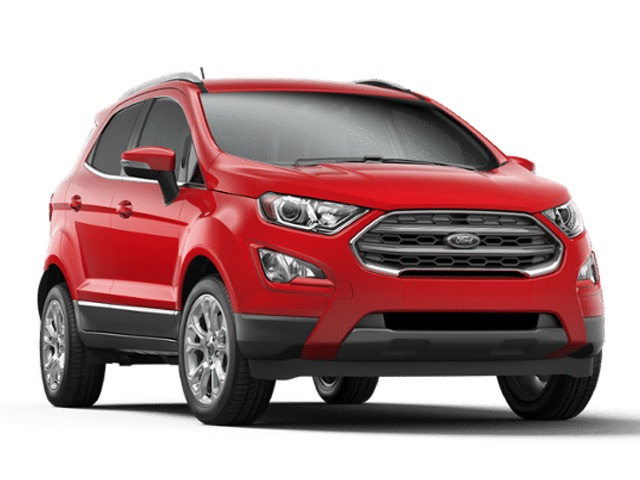 Lease starting at $184 for 36 months for a 2019 Ford EcoSport SE 4WD with an MSRP of $25,645. $3,824 due at signing includes $2,995 down, $0 security deposit, $645 acquisition fee and first month's payment of $184, excludes retailer fees, additional options, taxes, title and registration fees. Total monthly payments equal $6,624. Total payments equal $10,264. Actual rates and payments of closed-end lease may vary. Not everyone will qualify. You must take new retail delivery from dealer stock by 4/30/2019. Lessee responsible for insurance, maintenance, excess wear and excess mileage over 36,000 miles at $0.25 /mile. All amounts shown are estimates, retailer sets actual amounts. Includes all applicable offers. Residency restrictions apply. Lessee has option to purchase vehicle at lease end at price negotiated with retailer and approved lender at signing. Termination fee may apply. Contact dealer for availability and for complete details. 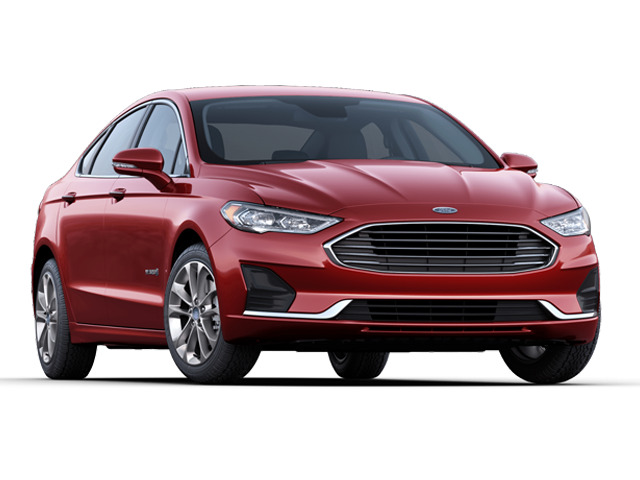 Lease starting at $185 for 36 months for a 2019 Ford Fusion Hybrid SE FWD with an MSRP of $28,550. $3,825 due at signing includes $2,995 down, $0 security deposit, $645 acquisition fee and first month's payment of $185, excludes retailer fees, additional options, taxes, title and registration fees. Total monthly payments equal $6,660. Total payments equal $10,300. Actual rates and payments of closed-end lease may vary. Not everyone will qualify. You must take new retail delivery from dealer stock by 4/30/2019. Lessee responsible for insurance, maintenance, excess wear and excess mileage over 31,500 miles at $0.25 /mile. All amounts shown are estimates, retailer sets actual amounts. Includes all applicable offers. Residency restrictions apply. Lessee has option to purchase vehicle at lease end at price negotiated with retailer and approved lender at signing. Termination fee may apply. Contact dealer for availability and for complete details. 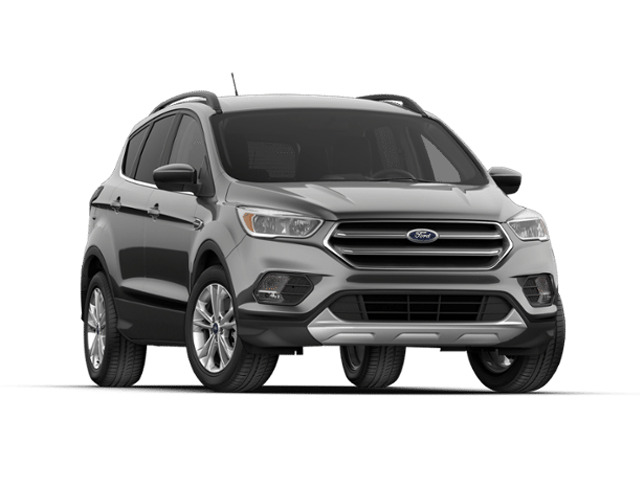 Lease starting at $227 for 36 months for a 2019 Ford Escape SE 4WD with an MSRP of $28,995. $3,867 due at signing includes $2,995 down, $0 security deposit, $645 acquisition fee and first month's payment of $227, excludes retailer fees, additional options, taxes, title and registration fees. Total monthly payments equal $8,172. Total payments equal $11,812. Actual rates and payments of closed-end lease may vary. Not everyone will qualify. You must take new retail delivery from dealer stock by 4/30/2019. Lessee responsible for insurance, maintenance, excess wear and excess mileage over 36,000 miles at $0.25 /mile. All amounts shown are estimates, retailer sets actual amounts. Includes all applicable offers. Residency restrictions apply. Lessee has option to purchase vehicle at lease end at price negotiated with retailer and approved lender at signing. Termination fee may apply. Contact dealer for availability and for complete details. 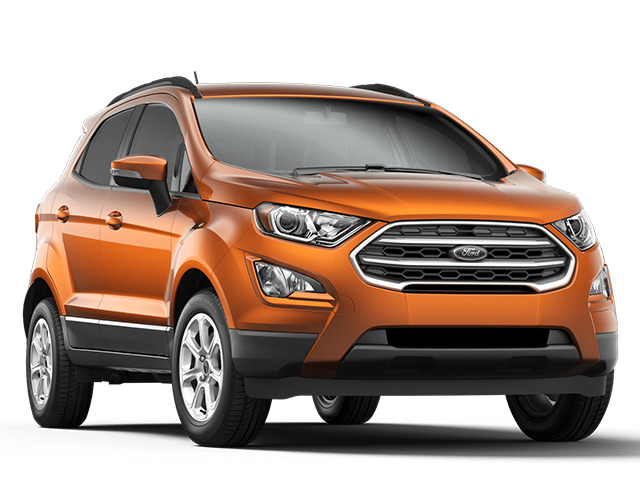 Lease starting at $232 for 36 months for a 2019 Ford EcoSport Titanium 4WD with an MSRP of $29,300. $3,872 due at signing includes $2,995 down, $0 security deposit, $645 acquisition fee and first month's payment of $232, excludes retailer fees, additional options, taxes, title and registration fees. Total monthly payments equal $8,352. Total payments equal $11,992. Actual rates and payments of closed-end lease may vary. Not everyone will qualify. You must take new retail delivery from dealer stock by 4/30/2019. Lessee responsible for insurance, maintenance, excess wear and excess mileage over 31,500 miles at $0.25 /mile. All amounts shown are estimates, retailer sets actual amounts. Includes all applicable offers. Residency restrictions apply. Lessee has option to purchase vehicle at lease end at price negotiated with retailer and approved lender at signing. Termination fee may apply. Contact dealer for availability and for complete details. 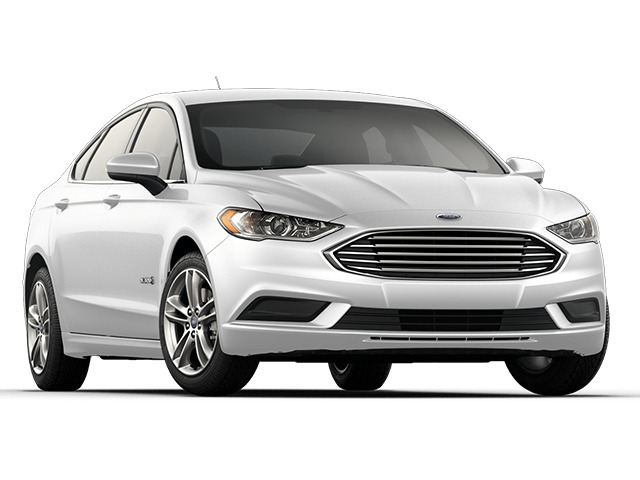 Lease starting at $244 for 36 months for a 2019 Ford Fusion Hybrid SEL FWD with an MSRP of $32,515. $3,884 due at signing includes $2,995 down, $0 security deposit, $645 acquisition fee and first month's payment of $244, excludes retailer fees, additional options, taxes, title and registration fees. Total monthly payments equal $8,784. Total payments equal $12,424. Actual rates and payments of closed-end lease may vary. Not everyone will qualify. You must take new retail delivery from dealer stock by 4/30/2019. Lessee responsible for insurance, maintenance, excess wear and excess mileage over 36,000 miles at $0.25 /mile. All amounts shown are estimates, retailer sets actual amounts. Includes all applicable offers. Residency restrictions apply. Lessee has option to purchase vehicle at lease end at price negotiated with retailer and approved lender at signing. Termination fee may apply. Contact dealer for availability and for complete details. Lease starting at $252 for 36 months for a 2019 Ford Fusion SE FWD with an MSRP of $25,770. $3,892 due at signing includes $2,995 down, $0 security deposit, $645 acquisition fee and first month's payment of $252, excludes retailer fees, additional options, taxes, title and registration fees. Total monthly payments equal $9,072. Total payments equal $12,712. Actual rates and payments of closed-end lease may vary. Not everyone will qualify. You must take new retail delivery from dealer stock by 4/30/2019. Lessee responsible for insurance, maintenance, excess wear and excess mileage over 30,000 miles at $0.25 /mile. All amounts shown are estimates, retailer sets actual amounts. Includes all applicable offers. Residency restrictions apply. Lessee has option to purchase vehicle at lease end at price negotiated with retailer and approved lender at signing. Termination fee may apply. Contact dealer for availability and for complete details. 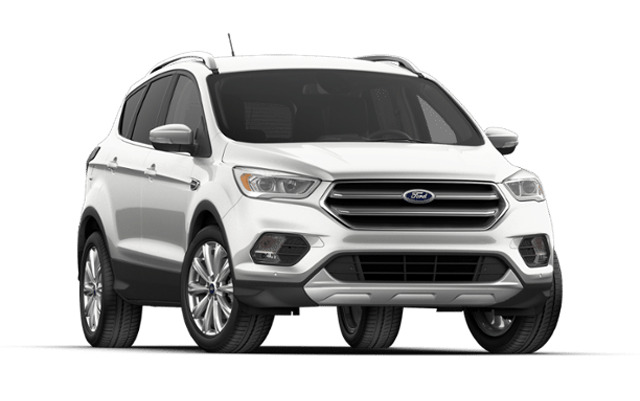 Lease starting at $263 for 36 months for a 2019 Ford Escape SEL 4WD with an MSRP of $31,085. $3,903 due at signing includes $2,995 down, $0 security deposit, $645 acquisition fee and first month's payment of $263, excludes retailer fees, additional options, taxes, title and registration fees. Total monthly payments equal $9,468. Total payments equal $13,108. Actual rates and payments of closed-end lease may vary. Not everyone will qualify. You must take new retail delivery from dealer stock by 4/30/2019. Lessee responsible for insurance, maintenance, excess wear and excess mileage over 36,000 miles at $0.25 /mile. All amounts shown are estimates, retailer sets actual amounts. Includes all applicable offers. Residency restrictions apply. Lessee has option to purchase vehicle at lease end at price negotiated with retailer and approved lender at signing. Termination fee may apply. Contact dealer for availability and for complete details. 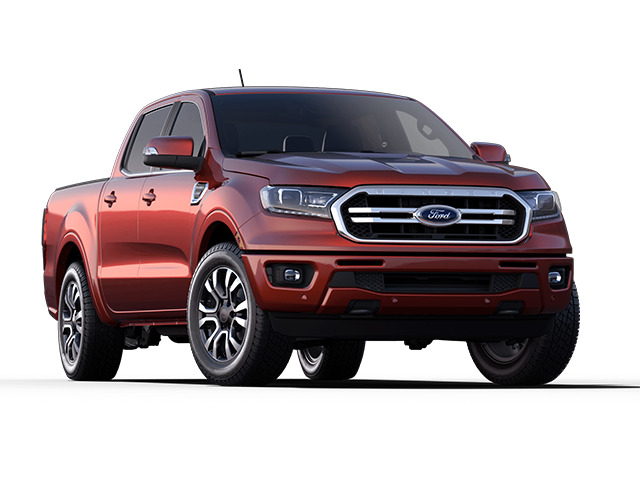 Lease starting at $269 for 36 months for a 2019 Ford Ranger XL 4WD Supercrew Short Box with an MSRP of $34,740. $3,914 due at signing includes $2,995 down, $0 security deposit, $650 acquisition fee and first month's payment of $269, excludes retailer fees, additional options, taxes, title and registration fees. Total monthly payments equal $9,684. Total payments equal $13,329. Actual rates and payments of closed-end lease may vary. Not everyone will qualify. You must take new retail delivery from dealer stock by 4/30/2019. Lessee responsible for insurance, maintenance, excess wear and excess mileage over 30,000 miles at $0.25 /mile. All amounts shown are estimates, retailer sets actual amounts. Includes all applicable offers. Residency restrictions apply. Lessee has option to purchase vehicle at lease end at price negotiated with retailer and approved lender at signing. Termination fee may apply. Contact dealer for availability and for complete details. Lease starting at $271 for 36 months for a 2019 Ford Fusion SE AWD with an MSRP of $31,315. $3,911 due at signing includes $2,995 down, $0 security deposit, $645 acquisition fee and first month's payment of $271, excludes retailer fees, additional options, taxes, title and registration fees. Total monthly payments equal $9,756. Total payments equal $13,396. Actual rates and payments of closed-end lease may vary. Not everyone will qualify. You must take new retail delivery from dealer stock by 4/30/2019. Lessee responsible for insurance, maintenance, excess wear and excess mileage over 36,000 miles at $0.25 /mile. All amounts shown are estimates, retailer sets actual amounts. Includes all applicable offers. Residency restrictions apply. Lessee has option to purchase vehicle at lease end at price negotiated with retailer and approved lender at signing. Termination fee may apply. Contact dealer for availability and for complete details. Lease starting at $278 for 36 months for a 2019 Ford Fusion Hybrid Titanium FWD with an MSRP of $35,480. $3,918 due at signing includes $2,995 down, $0 security deposit, $645 acquisition fee and first month's payment of $278, excludes retailer fees, additional options, taxes, title and registration fees. Total monthly payments equal $10,008. Total payments equal $13,648. Actual rates and payments of closed-end lease may vary. Not everyone will qualify. You must take new retail delivery from dealer stock by 4/30/2019. Lessee responsible for insurance, maintenance, excess wear and excess mileage over 36,000 miles at $0.25 /mile. All amounts shown are estimates, retailer sets actual amounts. Includes all applicable offers. Residency restrictions apply. Lessee has option to purchase vehicle at lease end at price negotiated with retailer and approved lender at signing. Termination fee may apply. Contact dealer for availability and for complete details. 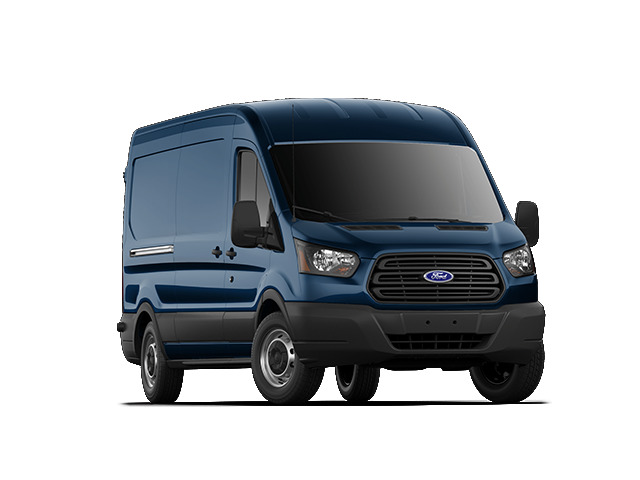 Lease starting at $295 for 36 months for a 2019 Ford Transit Connect XL Cargo Van Rear Symmetrical Doors with an MSRP of $25,980. $3,935 due at signing includes $2,995 down, $0 security deposit, $645 acquisition fee and first month's payment of $295, excludes retailer fees, additional options, taxes, title and registration fees. Total monthly payments equal $10,620. Total payments equal $14,260. Actual rates and payments of closed-end lease may vary. Not everyone will qualify. You must take new retail delivery from dealer stock by 4/30/2019. Lessee responsible for insurance, maintenance, excess wear and excess mileage over 36,000 miles at $0.25 /mile. All amounts shown are estimates, retailer sets actual amounts. Includes all applicable offers. Residency restrictions apply. Lessee has option to purchase vehicle at lease end at price negotiated with retailer and approved lender at signing. Termination fee may apply. Contact dealer for availability and for complete details. 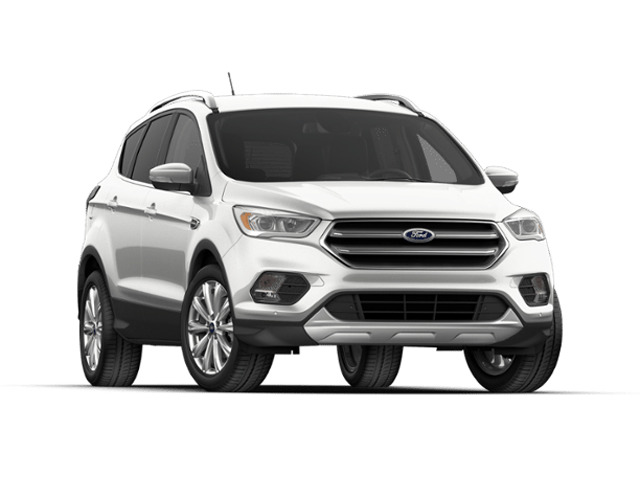 Lease starting at $299 for 36 months for a 2019 Ford Escape Titanium 4WD with an MSRP of $35,115. $3,939 due at signing includes $2,995 down, $0 security deposit, $645 acquisition fee and first month's payment of $299, excludes retailer fees, additional options, taxes, title and registration fees. Total monthly payments equal $10,764. Total payments equal $14,404. Actual rates and payments of closed-end lease may vary. Not everyone will qualify. You must take new retail delivery from dealer stock by 4/30/2019. Lessee responsible for insurance, maintenance, excess wear and excess mileage over 36,000 miles at $0.25 /mile. All amounts shown are estimates, retailer sets actual amounts. Includes all applicable offers. Residency restrictions apply. Lessee has option to purchase vehicle at lease end at price negotiated with retailer and approved lender at signing. Termination fee may apply. Contact dealer for availability and for complete details. 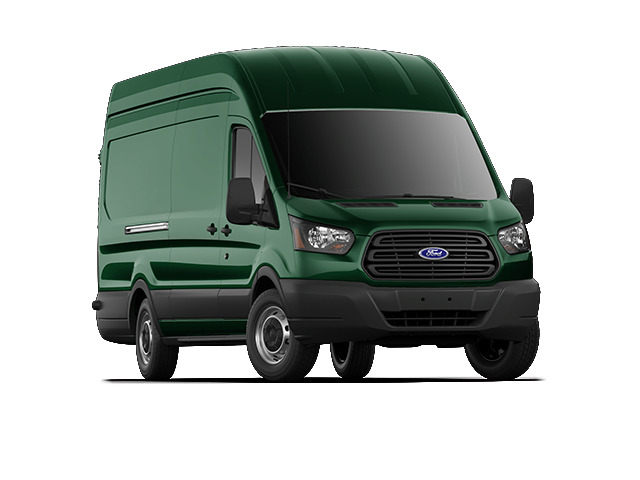 Lease starting at $309 for 36 months for a 2019 Ford Transit Connect XL Cargo Van Extended Rear Symmetrical Doors with an MSRP of $26,950. $3,949 due at signing includes $2,995 down, $0 security deposit, $645 acquisition fee and first month's payment of $309, excludes retailer fees, additional options, taxes, title and registration fees. Total monthly payments equal $11,124. Total payments equal $14,764. Actual rates and payments of closed-end lease may vary. Not everyone will qualify. You must take new retail delivery from dealer stock by 4/30/2019. Lessee responsible for insurance, maintenance, excess wear and excess mileage over 36,000 miles at $0.25 /mile. All amounts shown are estimates, retailer sets actual amounts. Includes all applicable offers. Residency restrictions apply. Lessee has option to purchase vehicle at lease end at price negotiated with retailer and approved lender at signing. Termination fee may apply. Contact dealer for availability and for complete details. 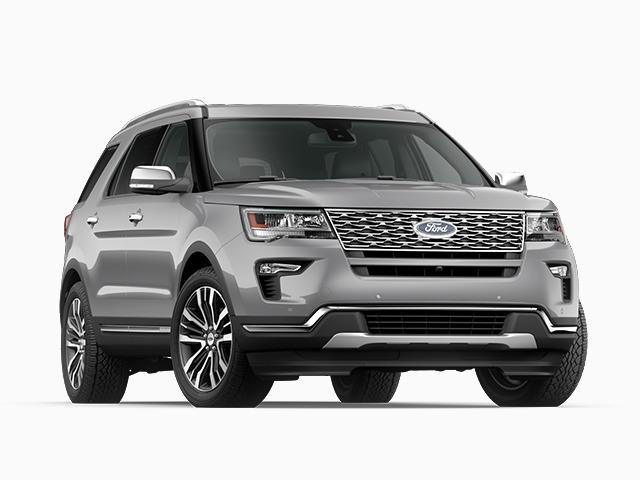 Lease starting at $325 for 36 months for a 2019 Ford Explorer XLT 4WD with an MSRP of $37,940. $3,965 due at signing includes $2,995 down, $0 security deposit, $645 acquisition fee and first month's payment of $325, excludes retailer fees, additional options, taxes, title and registration fees. Total monthly payments equal $11,700. Total payments equal $15,340. Actual rates and payments of closed-end lease may vary. Not everyone will qualify. You must take new retail delivery from dealer stock by 4/30/2019. Lessee responsible for insurance, maintenance, excess wear and excess mileage over 36,000 miles at $0.25 /mile. All amounts shown are estimates, retailer sets actual amounts. Includes all applicable offers. Residency restrictions apply. Lessee has option to purchase vehicle at lease end at price negotiated with retailer and approved lender at signing. Termination fee may apply. Contact dealer for availability and for complete details. Lease starting at $326 for 36 months for a 2019 Ford Mustang EcoBoost Fastback with an MSRP of $31,105. $4,116 due at signing includes $2,995 down, $0 security deposit, $795 acquisition fee and first month's payment of $326, excludes retailer fees, additional options, taxes, title and registration fees. Total monthly payments equal $11,736. Total payments equal $15,526. Actual rates and payments of closed-end lease may vary. Not everyone will qualify. You must take new retail delivery from dealer stock by 4/30/2019. Lessee responsible for insurance, maintenance, excess wear and excess mileage over 36,000 miles at $0.25 /mile. All amounts shown are estimates, retailer sets actual amounts. Includes all applicable offers. Residency restrictions apply. Lessee has option to purchase vehicle at lease end at price negotiated with retailer and approved lender at signing. Termination fee may apply. Contact dealer for availability and for complete details. 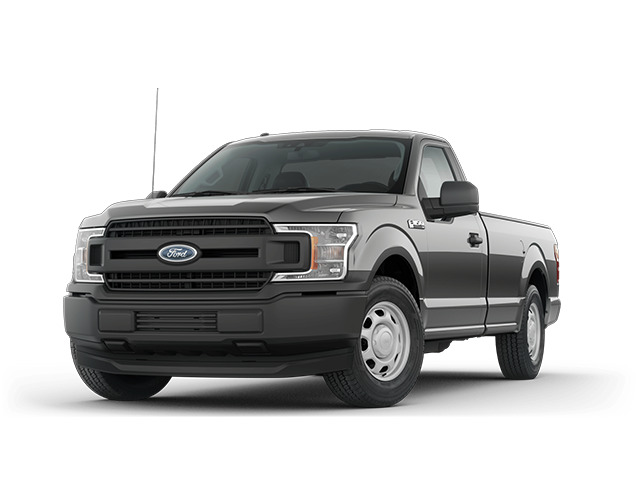 Lease starting at $329 for 36 months for a 2019 Ford F-150 XL SuperCab Standard Box 4X4 with an MSRP of $39,140. $3,969 due at signing includes $2,995 down, $0 security deposit, $645 acquisition fee and first month's payment of $329, excludes retailer fees, additional options, taxes, title and registration fees. Total monthly payments equal $11,844. Total payments equal $15,484. Actual rates and payments of closed-end lease may vary. Not everyone will qualify. You must take new retail delivery from dealer stock by 4/30/2019. Lessee responsible for insurance, maintenance, excess wear and excess mileage over 36,000 miles at $0.25 /mile. All amounts shown are estimates, retailer sets actual amounts. Includes all applicable offers. Residency restrictions apply. Lessee has option to purchase vehicle at lease end at price negotiated with retailer and approved lender at signing. Termination fee may apply. Contact dealer for availability and for complete details. 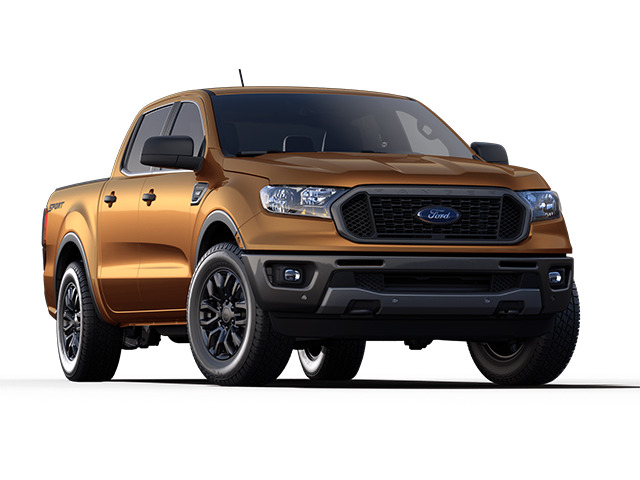 Lease starting at $330 for 36 months for a 2019 Ford Ranger XLT 4WD Supercrew Short Box with an MSRP of $37,595. $3,970 due at signing includes $2,995 down, $0 security deposit, $645 acquisition fee and first month's payment of $330, excludes retailer fees, additional options, taxes, title and registration fees. Total monthly payments equal $11,880. Total payments equal $15,520. Actual rates and payments of closed-end lease may vary. Not everyone will qualify. You must take new retail delivery from dealer stock by 4/30/2019. Lessee responsible for insurance, maintenance, excess wear and excess mileage over 36,000 miles at $0.25 /mile. All amounts shown are estimates, retailer sets actual amounts. Includes all applicable offers. Residency restrictions apply. Lessee has option to purchase vehicle at lease end at price negotiated with retailer and approved lender at signing. Termination fee may apply. Contact dealer for availability and for complete details. 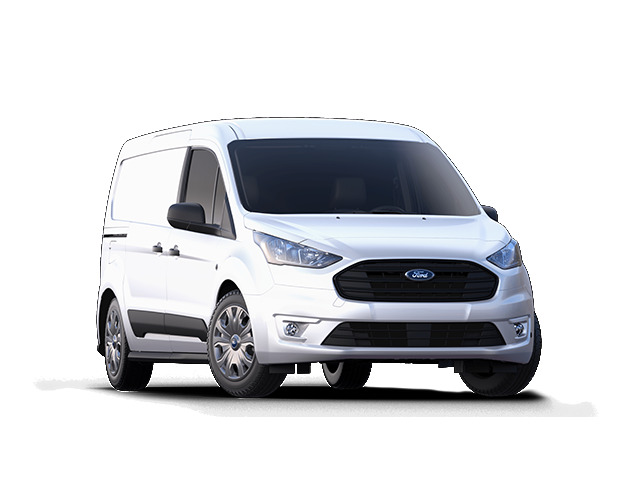 Lease starting at $335 for 36 months for a 2019 Ford Transit Cargo Van Medium Roof Long Wheelbase with an MSRP of $39,620. $4,125 due at signing includes $2,995 down, $0 security deposit, $795 acquisition fee and first month's payment of $335, excludes retailer fees, additional options, taxes, title and registration fees. Total monthly payments equal $12,060. Total payments equal $15,850. Actual rates and payments of closed-end lease may vary. Not everyone will qualify. You must take new retail delivery from dealer stock by 4/30/2019. Lessee responsible for insurance, maintenance, excess wear and excess mileage over 36,000 miles at $0.25 /mile. All amounts shown are estimates, retailer sets actual amounts. Includes all applicable offers. Residency restrictions apply. Lessee has option to purchase vehicle at lease end at price negotiated with retailer and approved lender at signing. Termination fee may apply. Contact dealer for availability and for complete details. 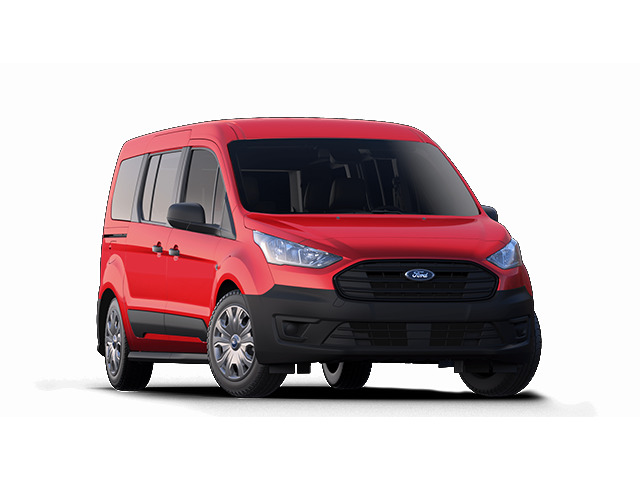 Lease starting at $345 for 36 months for a 2019 Ford Transit Connect XL Passenger Wagon Extended Rear Symmetrical Doors with an MSRP of $29,535. $3,985 due at signing includes $2,995 down, $0 security deposit, $645 acquisition fee and first month's payment of $345, excludes retailer fees, additional options, taxes, title and registration fees. Total monthly payments equal $12,420. Total payments equal $16,060. Actual rates and payments of closed-end lease may vary. Not everyone will qualify. You must take new retail delivery from dealer stock by 4/30/2019. Lessee responsible for insurance, maintenance, excess wear and excess mileage over 36,000 miles at $0.25 /mile. All amounts shown are estimates, retailer sets actual amounts. Includes all applicable offers. Residency restrictions apply. Lessee has option to purchase vehicle at lease end at price negotiated with retailer and approved lender at signing. Termination fee may apply. Contact dealer for availability and for complete details. 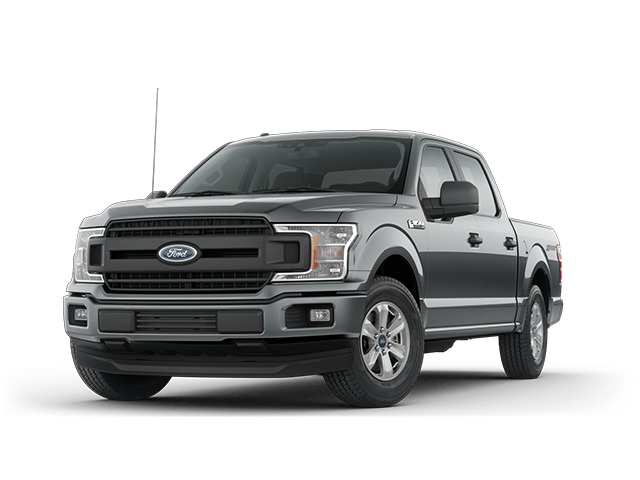 Lease starting at $347 for 36 months for a 2019 Ford F-150 XL SuperCrew Short Box 4X4 with an MSRP of $44,930. $3,987 due at signing includes $2,995 down, $0 security deposit, $645 acquisition fee and first month's payment of $347, excludes retailer fees, additional options, taxes, title and registration fees. Total monthly payments equal $12,492. Total payments equal $16,132. Actual rates and payments of closed-end lease may vary. Not everyone will qualify. You must take new retail delivery from dealer stock by 4/30/2019. Lessee responsible for insurance, maintenance, excess wear and excess mileage over 36,000 miles at $0.25 /mile. All amounts shown are estimates, retailer sets actual amounts. Includes all applicable offers. Residency restrictions apply. Lessee has option to purchase vehicle at lease end at price negotiated with retailer and approved lender at signing. Termination fee may apply. Contact dealer for availability and for complete details. Lease starting at $348 for 36 months for a 2019 Ford Edge SEL AWD with an MSRP of $38,365. $3,988 due at signing includes $2,995 down, $0 security deposit, $645 acquisition fee and first month's payment of $348, excludes retailer fees, additional options, taxes, title and registration fees. Total monthly payments equal $12,528. Total payments equal $16,168. Actual rates and payments of closed-end lease may vary. Not everyone will qualify. You must take new retail delivery from dealer stock by 4/30/2019. Lessee responsible for insurance, maintenance, excess wear and excess mileage over 36,000 miles at $0.25 /mile. All amounts shown are estimates, retailer sets actual amounts. Includes all applicable offers. Residency restrictions apply. Lessee has option to purchase vehicle at lease end at price negotiated with retailer and approved lender at signing. Termination fee may apply. Contact dealer for availability and for complete details. Lease starting at $348 for 36 months for a 2018 Ford Fusion Hybrid SE FWD with an MSRP of $28,305. $3,988 due at signing includes $2,995 down, $0 security deposit, $645 acquisition fee and first month's payment of $348, excludes retailer fees, additional options, taxes, title and registration fees. Total monthly payments equal $12,528. Total payments equal $16,168. Actual rates and payments of closed-end lease may vary. Not everyone will qualify. You must take new retail delivery from dealer stock by 4/30/2019. Lessee responsible for insurance, maintenance, excess wear and excess mileage over 30,000 miles at $0.25 /mile. All amounts shown are estimates, retailer sets actual amounts. Includes all applicable offers. Residency restrictions apply. Lessee has option to purchase vehicle at lease end at price negotiated with retailer and approved lender at signing. Termination fee may apply. Contact dealer for availability and for complete details. Lease starting at $355 for 36 months for a 2019 Ford F-150 XLT SuperCab Standard Box 4X4 with an MSRP of $42,915. $3,995 due at signing includes $2,995 down, $0 security deposit, $645 acquisition fee and first month's payment of $355, excludes retailer fees, additional options, taxes, title and registration fees. Total monthly payments equal $12,780. Total payments equal $16,420. Actual rates and payments of closed-end lease may vary. Not everyone will qualify. You must take new retail delivery from dealer stock by 4/30/2019. Lessee responsible for insurance, maintenance, excess wear and excess mileage over 36,000 miles at $0.25 /mile. All amounts shown are estimates, retailer sets actual amounts. Includes all applicable offers. Residency restrictions apply. Lessee has option to purchase vehicle at lease end at price negotiated with retailer and approved lender at signing. Termination fee may apply. Contact dealer for availability and for complete details. 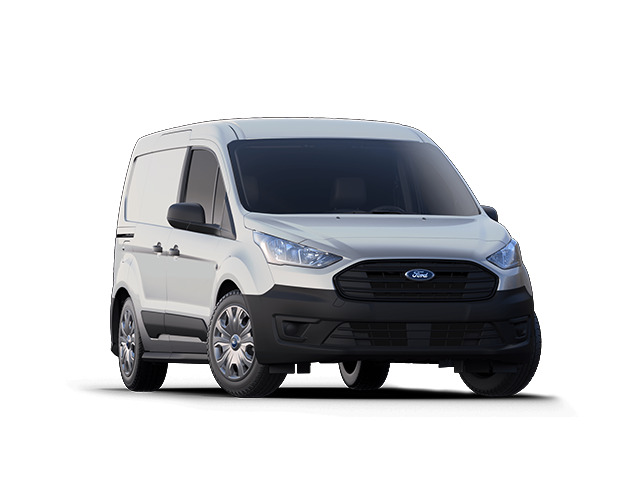 Lease starting at $356 for 36 months for a 2019 Ford Transit Connect XLT Cargo Van Extended Rear Symmetrical Doors with an MSRP of $29,505. $3,996 due at signing includes $2,995 down, $0 security deposit, $645 acquisition fee and first month's payment of $356, excludes retailer fees, additional options, taxes, title and registration fees. Total monthly payments equal $12,816. Total payments equal $16,456. Actual rates and payments of closed-end lease may vary. Not everyone will qualify. You must take new retail delivery from dealer stock by 4/30/2019. Lessee responsible for insurance, maintenance, excess wear and excess mileage over 36,000 miles at $0.25 /mile. All amounts shown are estimates, retailer sets actual amounts. Includes all applicable offers. Residency restrictions apply. Lessee has option to purchase vehicle at lease end at price negotiated with retailer and approved lender at signing. Termination fee may apply. Contact dealer for availability and for complete details. Lease starting at $361 for 36 months for a 2019 Ford Ranger Lariat 4WD Supercrew Short Box with an MSRP of $41,275. $4,006 due at signing includes $2,995 down, $0 security deposit, $650 acquisition fee and first month's payment of $361, excludes retailer fees, additional options, taxes, title and registration fees. Total monthly payments equal $12,996. Total payments equal $16,641. Actual rates and payments of closed-end lease may vary. Not everyone will qualify. You must take new retail delivery from dealer stock by 4/30/2019. Lessee responsible for insurance, maintenance, excess wear and excess mileage over 30,000 miles at $0.25 /mile. All amounts shown are estimates, retailer sets actual amounts. Includes all applicable offers. Residency restrictions apply. Lessee has option to purchase vehicle at lease end at price negotiated with retailer and approved lender at signing. Termination fee may apply. Contact dealer for availability and for complete details. 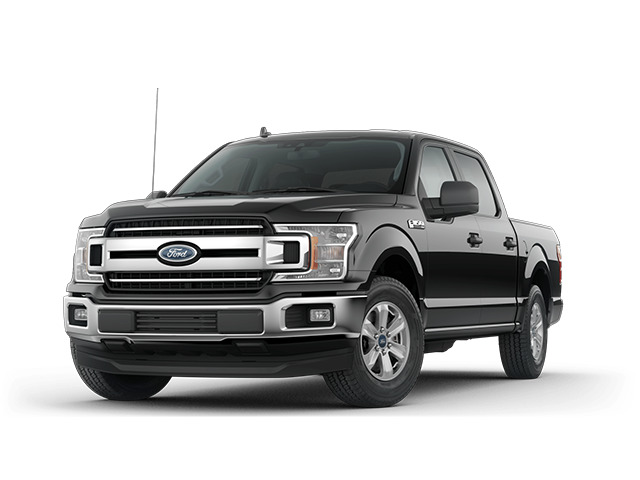 Lease starting at $398 for 36 months for a 2019 Ford F-150 XLT SuperCrew Short Box 4X4 with an MSRP of $47,990. $4,038 due at signing includes $2,995 down, $0 security deposit, $645 acquisition fee and first month's payment of $398, excludes retailer fees, additional options, taxes, title and registration fees. Total monthly payments equal $14,328. Total payments equal $17,968. Actual rates and payments of closed-end lease may vary. Not everyone will qualify. You must take new retail delivery from dealer stock by 4/30/2019. Lessee responsible for insurance, maintenance, excess wear and excess mileage over 36,000 miles at $0.25 /mile. All amounts shown are estimates, retailer sets actual amounts. Includes all applicable offers. Residency restrictions apply. Lessee has option to purchase vehicle at lease end at price negotiated with retailer and approved lender at signing. Termination fee may apply. Contact dealer for availability and for complete details. Lease starting at $399 for 36 months for a 2019 Ford Edge Titanium AWD with an MSRP of $43,225. $4,039 due at signing includes $2,995 down, $0 security deposit, $645 acquisition fee and first month's payment of $399, excludes retailer fees, additional options, taxes, title and registration fees. Total monthly payments equal $14,364. Total payments equal $18,004. Actual rates and payments of closed-end lease may vary. Not everyone will qualify. You must take new retail delivery from dealer stock by 4/30/2019. Lessee responsible for insurance, maintenance, excess wear and excess mileage over 36,000 miles at $0.25 /mile. All amounts shown are estimates, retailer sets actual amounts. Includes all applicable offers. Residency restrictions apply. Lessee has option to purchase vehicle at lease end at price negotiated with retailer and approved lender at signing. Termination fee may apply. Contact dealer for availability and for complete details. Lease starting at $447 for 36 months for a 2019 Ford F-150 XL Regular Cab Long Box 4X4 with an MSRP of $34,705. $4,087 due at signing includes $2,995 down, $0 security deposit, $645 acquisition fee and first month's payment of $447, excludes retailer fees, additional options, taxes, title and registration fees. Total monthly payments equal $16,092. Total payments equal $19,732. Actual rates and payments of closed-end lease may vary. Not everyone will qualify. You must take new retail delivery from dealer stock by 4/30/2019. Lessee responsible for insurance, maintenance, excess wear and excess mileage over 31,500 miles at $0.25 /mile. All amounts shown are estimates, retailer sets actual amounts. Includes all applicable offers. Residency restrictions apply. Lessee has option to purchase vehicle at lease end at price negotiated with retailer and approved lender at signing. Termination fee may apply. Contact dealer for availability and for complete details. 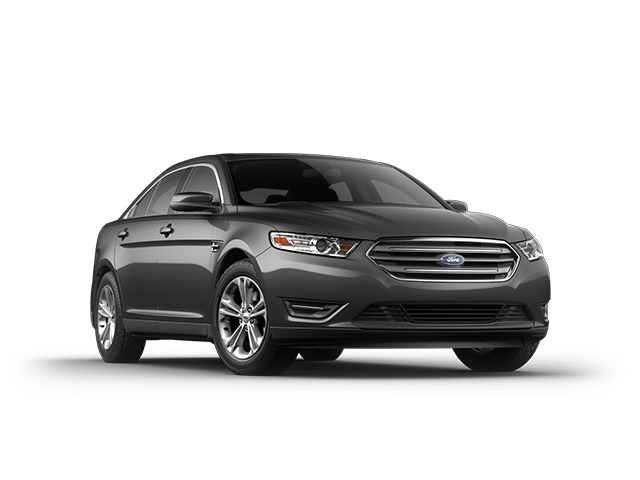 Lease starting at $461 for 36 months for a 2019 Ford Taurus SEL FWD with an MSRP of $35,160. $4,101 due at signing includes $2,995 down, $0 security deposit, $645 acquisition fee and first month's payment of $461, excludes retailer fees, additional options, taxes, title and registration fees. Total monthly payments equal $16,596. Total payments equal $20,236. Actual rates and payments of closed-end lease may vary. Not everyone will qualify. You must take new retail delivery from dealer stock by 4/30/2019. Lessee responsible for insurance, maintenance, excess wear and excess mileage over 30,000 miles at $0.25 /mile. All amounts shown are estimates, retailer sets actual amounts. Includes all applicable offers. Residency restrictions apply. Lessee has option to purchase vehicle at lease end at price negotiated with retailer and approved lender at signing. Termination fee may apply. Contact dealer for availability and for complete details. Lease starting at $465 for 36 months for a 2019 Ford Edge ST AWD with an MSRP of $48,730. $4,105 due at signing includes $2,995 down, $0 security deposit, $645 acquisition fee and first month's payment of $465, excludes retailer fees, additional options, taxes, title and registration fees. Total monthly payments equal $16,740. Total payments equal $20,380. Actual rates and payments of closed-end lease may vary. Not everyone will qualify. You must take new retail delivery from dealer stock by 4/30/2019. Lessee responsible for insurance, maintenance, excess wear and excess mileage over 31,500 miles at $0.25 /mile. All amounts shown are estimates, retailer sets actual amounts. Includes all applicable offers. Residency restrictions apply. Lessee has option to purchase vehicle at lease end at price negotiated with retailer and approved lender at signing. Termination fee may apply. Contact dealer for availability and for complete details. 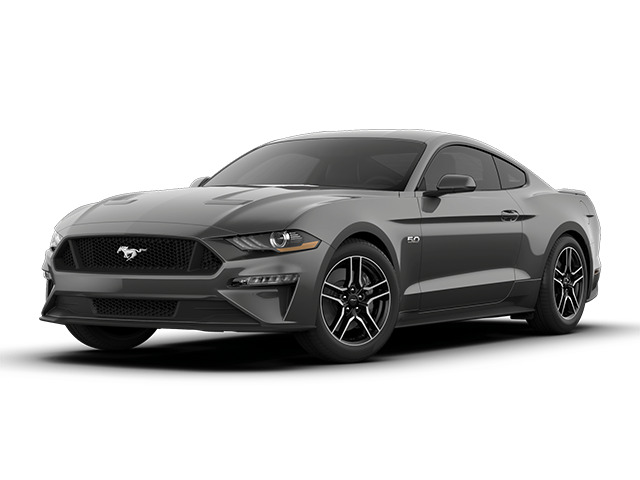 Lease starting at $492 for 36 months for a 2019 Ford Mustang GT Fastback with an MSRP of $42,345. $4,132 due at signing includes $2,995 down, $0 security deposit, $645 acquisition fee and first month's payment of $492, excludes retailer fees, additional options, taxes, title and registration fees. Total monthly payments equal $17,712. Total payments equal $21,352. Actual rates and payments of closed-end lease may vary. Not everyone will qualify. You must take new retail delivery from dealer stock by 4/30/2019. Lessee responsible for insurance, maintenance, excess wear and excess mileage over 36,000 miles at $0.25 /mile. All amounts shown are estimates, retailer sets actual amounts. Includes all applicable offers. Residency restrictions apply. Lessee has option to purchase vehicle at lease end at price negotiated with retailer and approved lender at signing. Termination fee may apply. Contact dealer for availability and for complete details. Lease starting at $523 for 36 months for a 2019 Ford Explorer Sport 4WD with an MSRP of $53,755. $4,163 due at signing includes $2,995 down, $0 security deposit, $645 acquisition fee and first month's payment of $523, excludes retailer fees, additional options, taxes, title and registration fees. Total monthly payments equal $18,828. Total payments equal $22,468. Actual rates and payments of closed-end lease may vary. Not everyone will qualify. You must take new retail delivery from dealer stock by 4/30/2019. Lessee responsible for insurance, maintenance, excess wear and excess mileage over 36,000 miles at $0.25 /mile. All amounts shown are estimates, retailer sets actual amounts. Includes all applicable offers. Residency restrictions apply. Lessee has option to purchase vehicle at lease end at price negotiated with retailer and approved lender at signing. Termination fee may apply. Contact dealer for availability and for complete details. Lease starting at $523 for 36 months for a 2019 Ford Explorer Platinum 4WD with an MSRP of $55,975. $4,163 due at signing includes $2,995 down, $0 security deposit, $645 acquisition fee and first month's payment of $523, excludes retailer fees, additional options, taxes, title and registration fees. Total monthly payments equal $18,828. Total payments equal $22,468. Actual rates and payments of closed-end lease may vary. Not everyone will qualify. You must take new retail delivery from dealer stock by 4/30/2019. Lessee responsible for insurance, maintenance, excess wear and excess mileage over 36,000 miles at $0.25 /mile. All amounts shown are estimates, retailer sets actual amounts. Includes all applicable offers. Residency restrictions apply. Lessee has option to purchase vehicle at lease end at price negotiated with retailer and approved lender at signing. Termination fee may apply. Contact dealer for availability and for complete details. 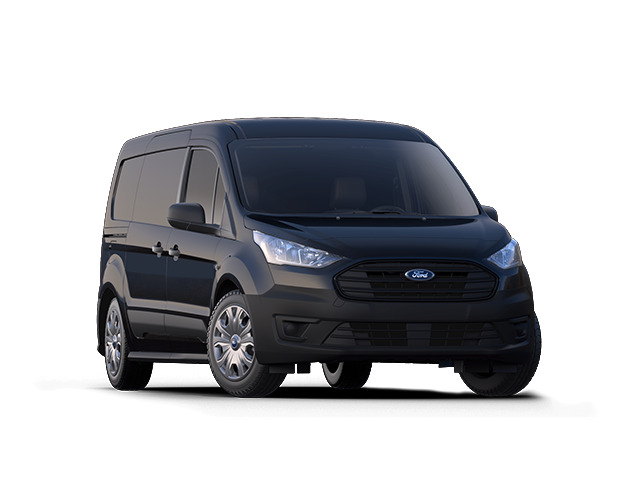 Lease starting at $526 for 36 months for a 2019 Ford Transit Cargo Van High Roof Extended Wheelbase with an MSRP of $41,780. $4,316 due at signing includes $2,995 down, $0 security deposit, $795 acquisition fee and first month's payment of $526, excludes retailer fees, additional options, taxes, title and registration fees. Total monthly payments equal $18,936. Total payments equal $22,726. Actual rates and payments of closed-end lease may vary. Not everyone will qualify. You must take new retail delivery from dealer stock by 4/30/2019. Lessee responsible for insurance, maintenance, excess wear and excess mileage over 36,000 miles at $0.25 /mile. All amounts shown are estimates, retailer sets actual amounts. Includes all applicable offers. Residency restrictions apply. Lessee has option to purchase vehicle at lease end at price negotiated with retailer and approved lender at signing. Termination fee may apply. Contact dealer for availability and for complete details. Lease starting at $542 for 36 months for a 2018 Ford Escape Titanium 4WD with an MSRP of $37,415. $4,182 due at signing includes $2,995 down, $0 security deposit, $645 acquisition fee and first month's payment of $542, excludes retailer fees, additional options, taxes, title and registration fees. Total monthly payments equal $19,512. Total payments equal $23,152. Actual rates and payments of closed-end lease may vary. Not everyone will qualify. You must take new retail delivery from dealer stock by 4/30/2019. Lessee responsible for insurance, maintenance, excess wear and excess mileage over 36,000 miles at $0.25 /mile. All amounts shown are estimates, retailer sets actual amounts. Includes all applicable offers. Residency restrictions apply. Lessee has option to purchase vehicle at lease end at price negotiated with retailer and approved lender at signing. Termination fee may apply. Contact dealer for availability and for complete details. 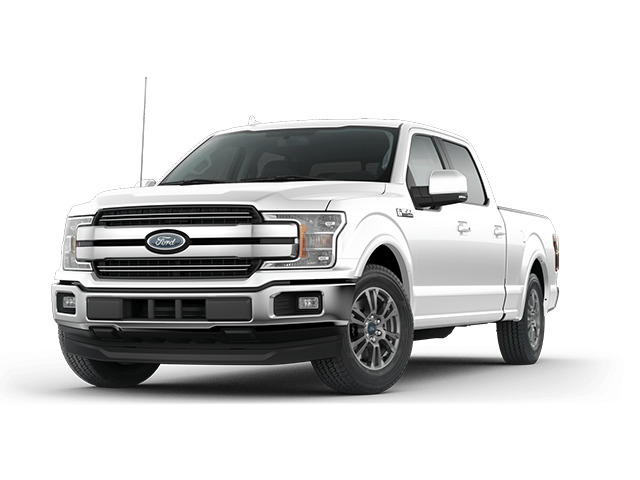 Lease starting at $570 for 36 months for a 2019 Ford F-150 Lariat SuperCrew Standard Box 4X4 with an MSRP of $66,700. $4,210 due at signing includes $2,995 down, $0 security deposit, $645 acquisition fee and first month's payment of $570, excludes retailer fees, additional options, taxes, title and registration fees. Total monthly payments equal $20,520. Total payments equal $24,160. Actual rates and payments of closed-end lease may vary. Not everyone will qualify. You must take new retail delivery from dealer stock by 4/30/2019. Lessee responsible for insurance, maintenance, excess wear and excess mileage over 31,500 miles at $0.25 /mile. All amounts shown are estimates, retailer sets actual amounts. Includes all applicable offers. Residency restrictions apply. Lessee has option to purchase vehicle at lease end at price negotiated with retailer and approved lender at signing. Termination fee may apply. Contact dealer for availability and for complete details. 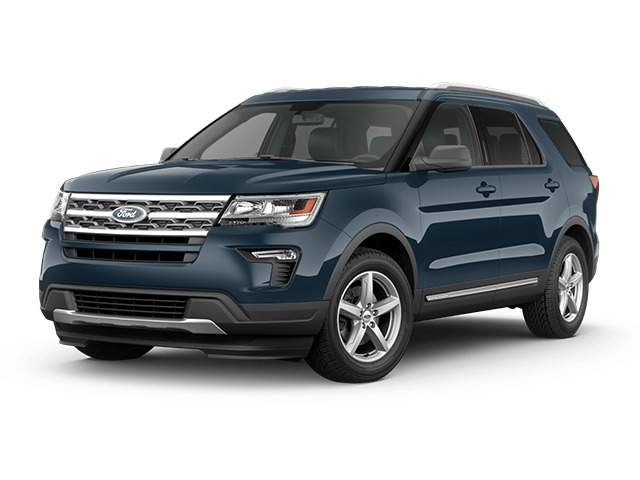 Lease starting at $585 for 36 months for a 2018 Ford Explorer XLT 4WD with an MSRP of $46,510. $4,225 due at signing includes $2,995 down, $0 security deposit, $645 acquisition fee and first month's payment of $585, excludes retailer fees, additional options, taxes, title and registration fees. Total monthly payments equal $21,060. Total payments equal $24,700. Actual rates and payments of closed-end lease may vary. Not everyone will qualify. You must take new retail delivery from dealer stock by 4/30/2019. Lessee responsible for insurance, maintenance, excess wear and excess mileage over 36,000 miles at $0.25 /mile. All amounts shown are estimates, retailer sets actual amounts. Includes all applicable offers. Residency restrictions apply. Lessee has option to purchase vehicle at lease end at price negotiated with retailer and approved lender at signing. Termination fee may apply. Contact dealer for availability and for complete details. 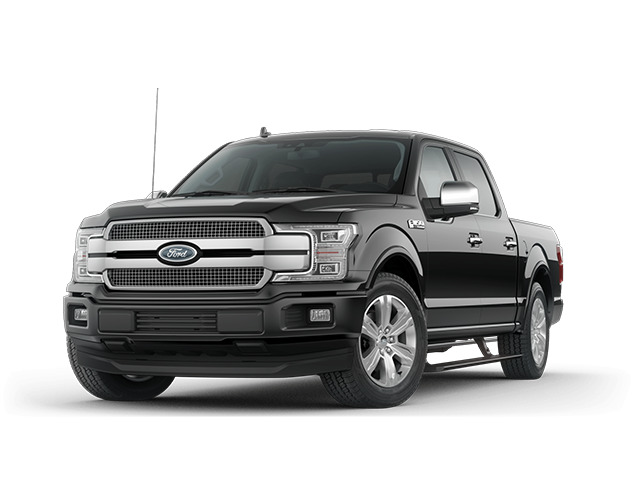 Lease starting at $591 for 36 months for a 2019 Ford F-150 Platinum SuperCrew Short Box 4X4 with an MSRP of $66,015. $4,231 due at signing includes $2,995 down, $0 security deposit, $645 acquisition fee and first month's payment of $591, excludes retailer fees, additional options, taxes, title and registration fees. Total monthly payments equal $21,276. Total payments equal $24,916. Actual rates and payments of closed-end lease may vary. Not everyone will qualify. You must take new retail delivery from dealer stock by 4/30/2019. Lessee responsible for insurance, maintenance, excess wear and excess mileage over 36,000 miles at $0.25 /mile. All amounts shown are estimates, retailer sets actual amounts. Includes all applicable offers. Residency restrictions apply. Lessee has option to purchase vehicle at lease end at price negotiated with retailer and approved lender at signing. Termination fee may apply. Contact dealer for availability and for complete details. Lease starting at $614 for 36 months for a 2019 Ford F-150 King Ranch SuperCrew Short Box 4X4 with an MSRP of $68,560. $4,254 due at signing includes $2,995 down, $0 security deposit, $645 acquisition fee and first month's payment of $614, excludes retailer fees, additional options, taxes, title and registration fees. Total monthly payments equal $22,104. Total payments equal $25,744. Actual rates and payments of closed-end lease may vary. Not everyone will qualify. You must take new retail delivery from dealer stock by 4/30/2019. Lessee responsible for insurance, maintenance, excess wear and excess mileage over 36,000 miles at $0.25 /mile. All amounts shown are estimates, retailer sets actual amounts. Includes all applicable offers. Residency restrictions apply. Lessee has option to purchase vehicle at lease end at price negotiated with retailer and approved lender at signing. Termination fee may apply. Contact dealer for availability and for complete details. Lease starting at $654 for 36 months for a 2019 Ford Expedition XLT 4x4 with an MSRP of $64,255. $4,294 due at signing includes $2,995 down, $0 security deposit, $645 acquisition fee and first month's payment of $654, excludes retailer fees, additional options, taxes, title and registration fees. Total monthly payments equal $23,544. Total payments equal $27,184. Actual rates and payments of closed-end lease may vary. Not everyone will qualify. You must take new retail delivery from dealer stock by 1/2/2020. Lessee responsible for insurance, maintenance, excess wear and excess mileage over 36,000 miles at $0.25 /mile. All amounts shown are estimates, retailer sets actual amounts. Includes all applicable offers. Residency restrictions apply. Lessee has option to purchase vehicle at lease end at price negotiated with retailer and approved lender at signing. Termination fee may apply. Contact dealer for availability and for complete details. Lease starting at $663 for 36 months for a 2019 Ford F-150 Limited SuperCrew Short Box 4X4 with an MSRP of $74,530. $4,303 due at signing includes $2,995 down, $0 security deposit, $645 acquisition fee and first month's payment of $663, excludes retailer fees, additional options, taxes, title and registration fees. Total monthly payments equal $23,868. Total payments equal $27,508. Actual rates and payments of closed-end lease may vary. Not everyone will qualify. You must take new retail delivery from dealer stock by 4/30/2019. Lessee responsible for insurance, maintenance, excess wear and excess mileage over 31,500 miles at $0.25 /mile. All amounts shown are estimates, retailer sets actual amounts. Includes all applicable offers. Residency restrictions apply. Lessee has option to purchase vehicle at lease end at price negotiated with retailer and approved lender at signing. Termination fee may apply. Contact dealer for availability and for complete details. Lease starting at $694 for 36 months for a 2019 Ford Expedition Limited 4x4 with an MSRP of $70,430. $4,334 due at signing includes $2,995 down, $0 security deposit, $645 acquisition fee and first month's payment of $694, excludes retailer fees, additional options, taxes, title and registration fees. Total monthly payments equal $24,984. Total payments equal $28,624. Actual rates and payments of closed-end lease may vary. Not everyone will qualify. You must take new retail delivery from dealer stock by 4/30/2019. Lessee responsible for insurance, maintenance, excess wear and excess mileage over 36,000 miles at $0.25 /mile. All amounts shown are estimates, retailer sets actual amounts. Includes all applicable offers. Residency restrictions apply. Lessee has option to purchase vehicle at lease end at price negotiated with retailer and approved lender at signing. Termination fee may apply. Contact dealer for availability and for complete details. 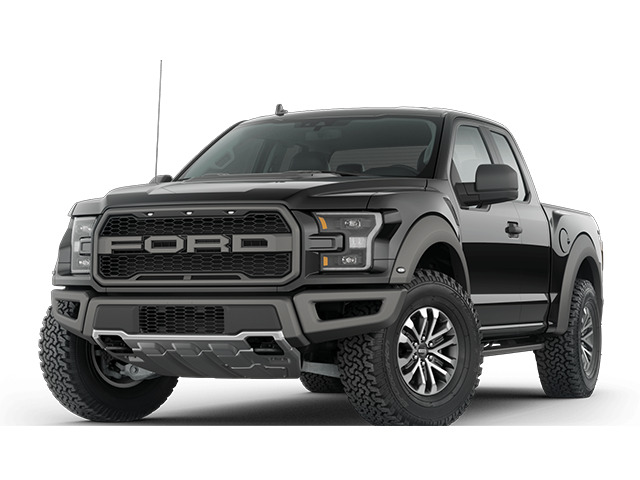 Lease starting at $705 for 36 months for a 2019 Ford F-150 Raptor SuperCab Short Box 4X4 with an MSRP of $56,185. $4,345 due at signing includes $2,995 down, $0 security deposit, $645 acquisition fee and first month's payment of $705, excludes retailer fees, additional options, taxes, title and registration fees. Total monthly payments equal $25,380. Total payments equal $29,020. Actual rates and payments of closed-end lease may vary. Not everyone will qualify. You must take new retail delivery from dealer stock by 4/30/2019. Lessee responsible for insurance, maintenance, excess wear and excess mileage over 36,000 miles at $0.25 /mile. All amounts shown are estimates, retailer sets actual amounts. Includes all applicable offers. Residency restrictions apply. Lessee has option to purchase vehicle at lease end at price negotiated with retailer and approved lender at signing. Termination fee may apply. Contact dealer for availability and for complete details. 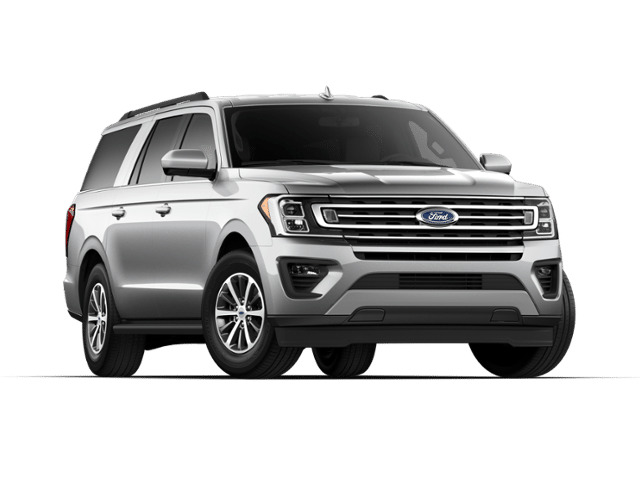 Lease starting at $709 for 36 months for a 2019 Ford Expedition Max Limited 4X4 with an MSRP of $73,300. $4,349 due at signing includes $2,995 down, $0 security deposit, $645 acquisition fee and first month's payment of $709, excludes retailer fees, additional options, taxes, title and registration fees. Total monthly payments equal $25,524. Total payments equal $29,164. Actual rates and payments of closed-end lease may vary. Not everyone will qualify. You must take new retail delivery from dealer stock by 4/30/2019. Lessee responsible for insurance, maintenance, excess wear and excess mileage over 36,000 miles at $0.25 /mile. All amounts shown are estimates, retailer sets actual amounts. Includes all applicable offers. Residency restrictions apply. Lessee has option to purchase vehicle at lease end at price negotiated with retailer and approved lender at signing. Termination fee may apply. Contact dealer for availability and for complete details. 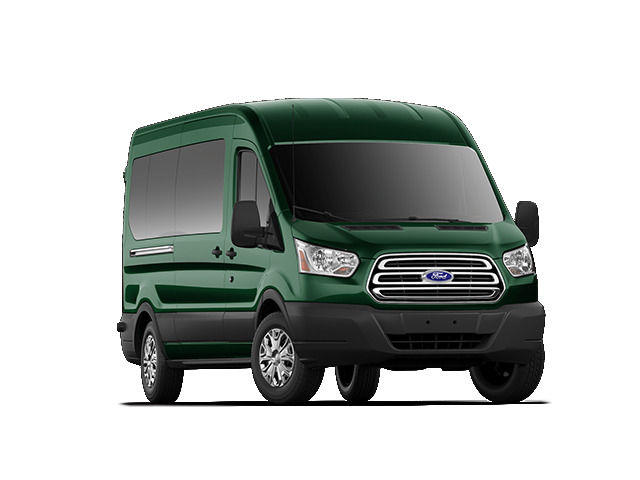 Lease starting at $712 for 36 months for a 2019 Ford Transit XLT Passenger Wagon Medium Roof Long Wheelbase with an MSRP of $53,770. $4,502 due at signing includes $2,995 down, $0 security deposit, $795 acquisition fee and first month's payment of $712, excludes retailer fees, additional options, taxes, title and registration fees. Total monthly payments equal $25,632. Total payments equal $29,422. Actual rates and payments of closed-end lease may vary. Not everyone will qualify. You must take new retail delivery from dealer stock by 4/30/2019. Lessee responsible for insurance, maintenance, excess wear and excess mileage over 36,000 miles at $0.25 /mile. All amounts shown are estimates, retailer sets actual amounts. Includes all applicable offers. Residency restrictions apply. Lessee has option to purchase vehicle at lease end at price negotiated with retailer and approved lender at signing. Termination fee may apply. Contact dealer for availability and for complete details. 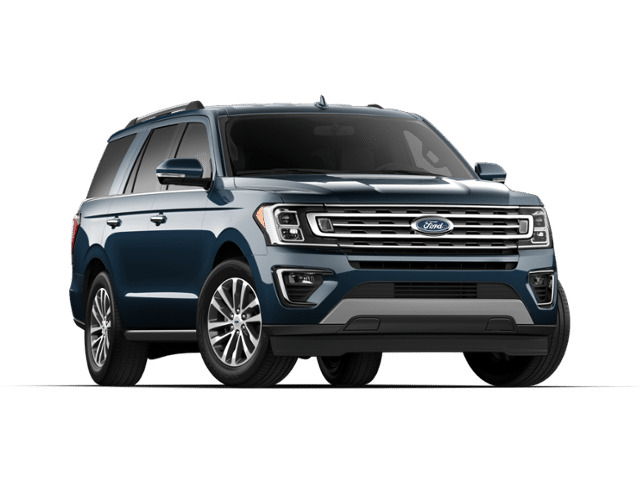 Lease starting at $716 for 36 months for a 2019 Ford Expedition Max XLT 4X4 with an MSRP of $68,750. $4,356 due at signing includes $2,995 down, $0 security deposit, $645 acquisition fee and first month's payment of $716, excludes retailer fees, additional options, taxes, title and registration fees. Total monthly payments equal $25,776. Total payments equal $29,416. Actual rates and payments of closed-end lease may vary. Not everyone will qualify. You must take new retail delivery from dealer stock by 4/30/2019. Lessee responsible for insurance, maintenance, excess wear and excess mileage over 31,500 miles at $0.25 /mile. All amounts shown are estimates, retailer sets actual amounts. Includes all applicable offers. Residency restrictions apply. Lessee has option to purchase vehicle at lease end at price negotiated with retailer and approved lender at signing. Termination fee may apply. Contact dealer for availability and for complete details. 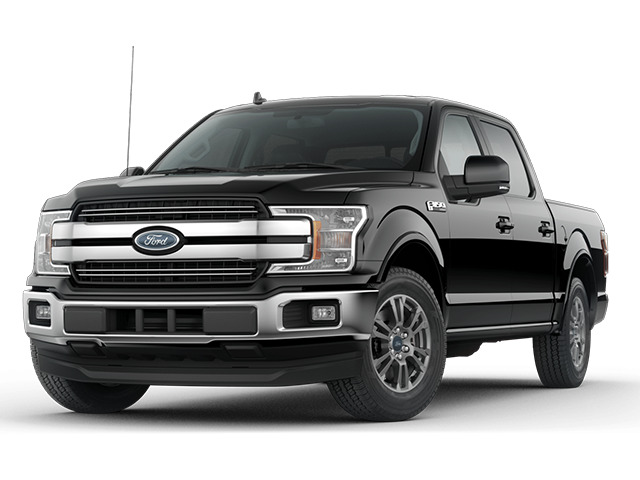 Lease starting at $752 for 36 months for a 2018 Ford F-150 Lariat SuperCrew Short Box 4X4 with an MSRP of $60,275. $4,392 due at signing includes $2,995 down, $0 security deposit, $645 acquisition fee and first month's payment of $752, excludes retailer fees, additional options, taxes, title and registration fees. Total monthly payments equal $27,072. Total payments equal $30,712. Actual rates and payments of closed-end lease may vary. Not everyone will qualify. You must take new retail delivery from dealer stock by 4/30/2019. Lessee responsible for insurance, maintenance, excess wear and excess mileage over 36,000 miles at $0.25 /mile. All amounts shown are estimates, retailer sets actual amounts. Includes all applicable offers. Residency restrictions apply. Lessee has option to purchase vehicle at lease end at price negotiated with retailer and approved lender at signing. Termination fee may apply. Contact dealer for availability and for complete details. Lease starting at $804 for 36 months for a 2019 Ford Expedition Max Platinum 4X4 with an MSRP of $80,795. $4,444 due at signing includes $2,995 down, $0 security deposit, $645 acquisition fee and first month's payment of $804, excludes retailer fees, additional options, taxes, title and registration fees. Total monthly payments equal $28,944. Total payments equal $32,584. Actual rates and payments of closed-end lease may vary. Not everyone will qualify. You must take new retail delivery from dealer stock by 4/30/2019. Lessee responsible for insurance, maintenance, excess wear and excess mileage over 31,500 miles at $0.25 /mile. All amounts shown are estimates, retailer sets actual amounts. Includes all applicable offers. Residency restrictions apply. Lessee has option to purchase vehicle at lease end at price negotiated with retailer and approved lender at signing. Termination fee may apply. Contact dealer for availability and for complete details. 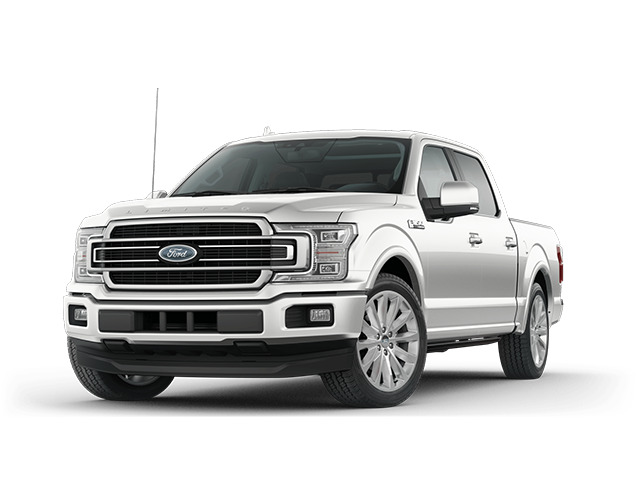 Lease starting at $874 for 36 months for a 2018 Ford F-150 Lariat SuperCrew Standard Box 4X4 with an MSRP of $68,625. $4,514 due at signing includes $2,995 down, $0 security deposit, $645 acquisition fee and first month's payment of $874, excludes retailer fees, additional options, taxes, title and registration fees. Total monthly payments equal $31,464. Total payments equal $35,104. Actual rates and payments of closed-end lease may vary. Not everyone will qualify. You must take new retail delivery from dealer stock by 4/30/2019. Lessee responsible for insurance, maintenance, excess wear and excess mileage over 36,000 miles at $0.25 /mile. All amounts shown are estimates, retailer sets actual amounts. Includes all applicable offers. Residency restrictions apply. Lessee has option to purchase vehicle at lease end at price negotiated with retailer and approved lender at signing. Termination fee may apply. Contact dealer for availability and for complete details.